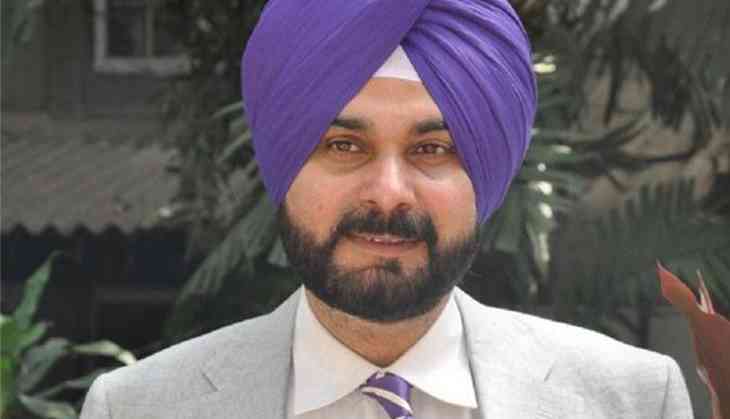 Congress leader and Punjab minister Navjot Singh Sidhu on Tuesday claimed that External Affairs Minister (EAM) Sushma Swaraj had assured him that a draft was being prepared on Kartarpur passage and she would write a letter to the Pakistan government for opening of the passage. Sidhu claimed that he had written a letter to Swaraj urging for a formal request to the Pakistan government for an early agreement and opening of the Kartarpur passage. Swaraj's assurance was in response to his letter, Sidhu further claimed. Addressing a press conference here, Sidhu said, "I had written in my letter to EAM that 'kindly send a formal request from Ministry of External Affairs (MEA) to government of Pakistan requesting an early agreement and opening of the Kartarpur passage immediately after current monsoon season'." "We had a detailed discussion during the meeting, explained to her (EAM) about the necessity of opening of the Kartarpur corridor. A formal request should go from India's side. EAM said to me, 'the draft is being prepared and I will write a letter'," he added. However, Swaraj had earlier stated that the Pakistani government has so far neither agreed to include visits to Kartarpur Sahib by Indian pilgrims under bilateral protocol nor has sent any official communication for establishing the corridor. On September 15, Swaraj wrote to Union Minister Harsimrat Kaur Badal saying, "I received your letter of 13 September 2018 regarding facilitating visits of the Indian pilgrims, including through a corridor, to the holy Gurudwara Kartarpur Sahib located in Pakistan. The Government has been taking up the matter with Pakistan. However, Pakistan has so far neither agreed to include visits to Gurudwara Kartarpur Sahib by the Indian pilgrims under the bilateral Protocol on visits to religious shrines of 1974 nor has it sent any official communication for establishing a corridor." In the letter, Swaraj further informed that over past many years, Pakistani authorities have only allowed limited number of visits of the Indian pilgrims to the Gurudwara along with the visit to other shrines in Pakistan. The EAM also assured that "government remains seized of the matter and will continue to take up the matter with Pakistan." Swaraj's statement has punctured Sidhu's claims, who on the occasion of the 550th birth anniversary of Guru Nanak said that Pakistan will open the corridor of Kartarpur Sahib. The Congress leader had also hailed this move as a goodwill gesture. Earlier on Monday, Minister of State for External Affairs, General (Retd.) VK Singh had also stated that India has not received any proposal from Pakistan to open the Kartarpur route between the two countries. The Kartarpur route along the India-Pakistan border is barely 3 kilometres away from Gurdaspur, Punjab. If opened, it will allow Sikh pilgrims a direct access to the historic Gurdwara Darbar Sahib in Kartarpur, Pakistan, where Guru Nanak died in 1539.